It is getting much chilly here in Hong Kong. I need to wear more clothes to prevent myself from getting sick(again!). Anyway, I am so happy that there is only one assignment left till the end of the semester. Cannot wait to finish the last assignment and exam and relax a little bit! 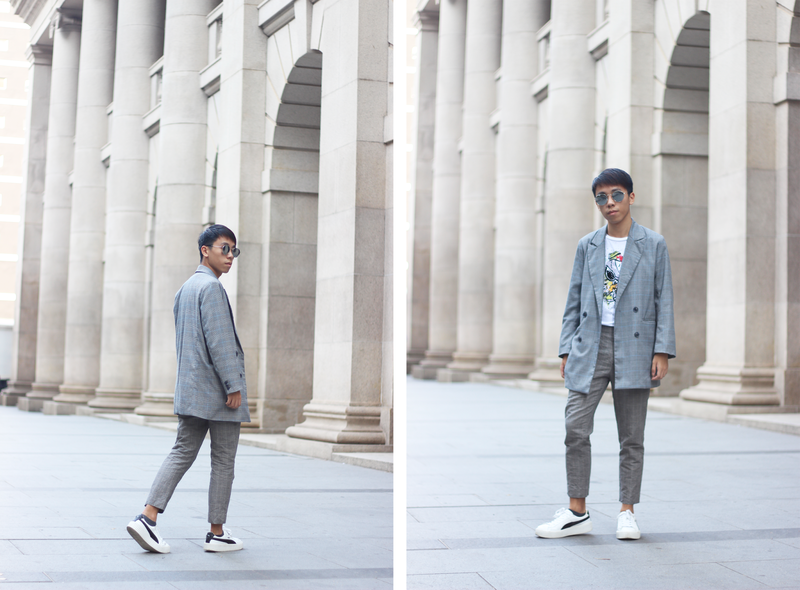 For this blog post, I am sharing one of the biggest trend you probably seen every bloggers wear before. That is plaid blazer! I love the plaid blazer trend so much and I finally decided to get one. The trousers and blazer actually are not come into a set. But they look so similar! 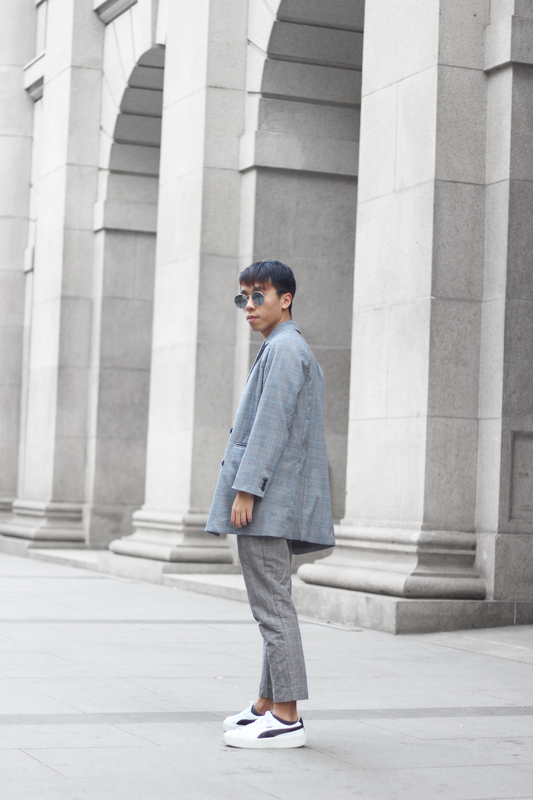 Back to the topic, how to style plaid blazer? One of the best way it is to wear graphic tee and trousers with white sneakers! I recently bought this "zombie" snoopy tee. How cute is that?! By wearing graphic tee, it would be casual but still can give people a bit formal vibes. 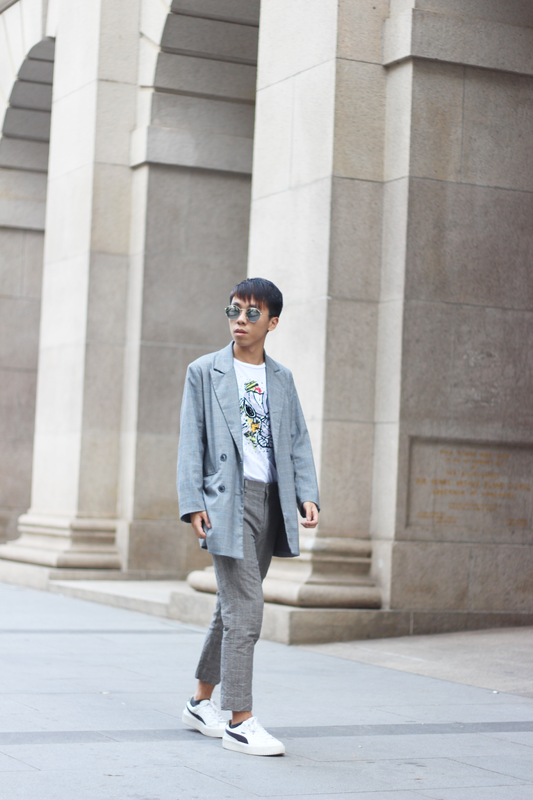 Lastly, I wore white sneakers for this smart casual look. Do you love this look? Let me know your thoughts! that's a really stunning combo. This is such a cool outfit and lovely photos! I'm loving how trendy, yet classic this whole outfit is. Check blazers are having a huge moment, as are white boots and shoes, so they really made for a great combination here and look so good on you! Thanks for sharing, Daniel, and I hope you have a great start to your week! I really like that plaid blazer on you!! This blazer and graphic tee are so cool! and GREY is definetly your color. Classy and yet casual - such a lovely styling. Nice post!!!! !Thanks for sharing these beautiful pictures with us. Great mix of casual and formal! You look fab! I love blazers, they add class to every outfit. Omg I absolutely love those trousers, babe! Such a cool look, love your tee!